You are here: Home / DID Education / DID Trauma Survivors and Getting Support from Other People – or not? Dissociative trauma survivors need emotional support. However, this can be difficult to achieve. Those that find dissociative trauma survivors to be really good, kind, decent, and wonderful people, and will stand by them faithfully. Those that genuinely love and support and accept them even though the DID survivors can be all kinds of weird and “nutty” and difficult. Those that get angry and upset with them because DID survivors can be all kinds of weird and “nutty” and difficult. Those that believe and support the trauma and abuse history of the DID survivor. Those that do not believe that the DID survivor was abused at all. Those that believe the multiplicity, are comfortable with a variety of alter parts presenting, acknowledge the switching as a very real thing and a natural part of DIDer’s life. Those that don’t believe the multiplicity is real, accuse the DIDers of just play-acting, and don’t recognize the other parts even when they are there. Those that initially say they will be a friend, only to totally reject, leave, or abandon the dissociative person when things get complicated or difficult. So far, the Showtime Series has not adequately addressed the issues involving trauma and abuse. It also has not shown any young child parts (teenage parts are very different than child parts). Have you met a multiple that didn’t have child parts? I most certainly have not. I don’t know if the series will get into those serious elements of dissociation or not, but it is a critical element in normal life with DID. How the friends and family members treat the DIDer’s child parts is often an extremely accurate barometer of how supportive and accepting that person will be for the DIDer over all. It is, of course, the most helpful if the friends and family members of the dissociative survivors are gentle, accepting, kind, and understanding. And sometimes, that is the case. There are some wonderfully supportive spouses, parents, and children out there. They make the healing process so much easier by contributing with their comfort, faithful assistance, gentle patience, and reassurance. Unfortunately, all too often dissociative survivors continue to be alone and isolated, even abused and neglected within their own families. Spouses often feel angry, ripped off, frustrated with all the added relationship complications. They might feel like they are left picking up the pieces, and overloaded with more than their fair share of the household work and parenting. It’s often hard for spouses to have patience for all the complications caused by the dissociative disorder and the survivor’s trauma history because of the heavy load it creates for them. Extended family members are all too often filled with the perpetrators and original abusers. Most perpetrators that engaged in violence so extreme as to split a child are not ever going to become a positive support for the DIDer. 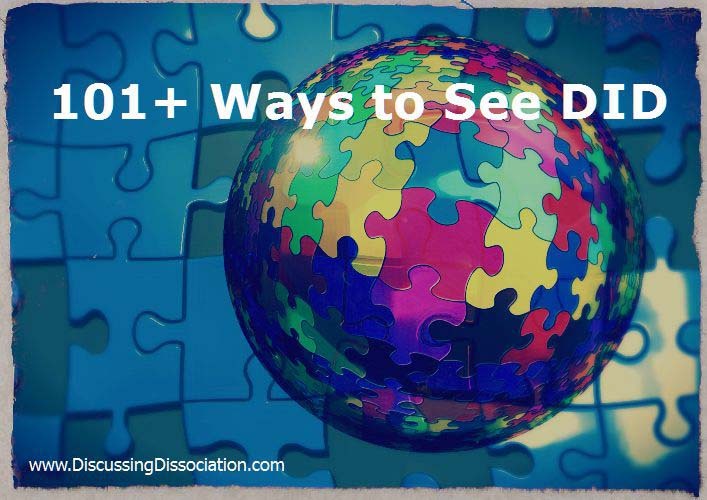 Children of dissociative people can certainly be loving and accepting of the different sides of the DIDer, but the external children cannot be the main source of emotional support or the emotional care-taker for the trauma survivor. If dissociative parents put too much emphasis on their own needs, hurts, and wants, and keep their own struggles as the bigger focus in front of the external children, those external children will be left emotionally neglected and will most likely become angry, resentful, spiteful, and hateful towards their dissociative parent. And as much as dissociat ive survivors may not want to admit that they can be more difficult than average to live with, it is generally true. Please don’t take offense to that, I mean no harm to anyone. I do completely understand, however, that life / relationship are just complicated! What can DID survivors do to facilitate getting more support from others? Be genuinely appreciative. Recognize even the smallest of kindness from someone and thank them. Thank them each time they give something of value to you. Nobody likes to be taken for granted, and if you have the attitude that these favors are “owed” to you, you will soon find yourself alone. Communicate what is going on for you. Often, others will be more willing to give if they understand why it is necessary or important. Don’t assume that they will automatically understand why you need certain things. Tell them, and explain it in a way that they can understand. Be determined to do as much as possible for yourself on your own. Yes, your trauma history has left big gaping wounds, but the more you meet your own needs and find ways to resolve those issues without “taking from” or “pulling on” others, the more genuine your friendships can be. Reciprocate kindness. When someone takes the time and effort to be supportive of you, be sure to return the favor by doing supportive things for them as well. If you are taking, taking, taking more than you are giving, the relationship will either die or explode in your face. 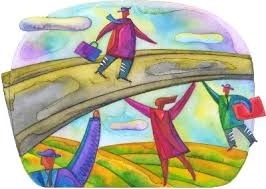 Get professional support when your emotional needs become too heavy for your friends and family members. For example, friends and family members may very well pull away from you if you lean on them too heavily during intense times – ie: during extended or repeated times of suicidal feelings, episodes involving self-injury, or flashbacks. These heavy, intense issues belong in the therapeutic context and not between you and your support people. 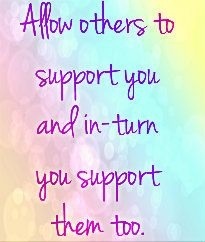 Build your support options so you are not putting too much pressure on one or two people to support you through the hard times. The more support options you have, the less likely any one individual support person will feel burnt out or overloaded by how much you lean on them. Remember it is more important for you to learn how to emotionally support yourself and your internal system than it is to teach (force) someone else to support you. Take time to enjoy everyday “normal” experiences with your support people. Put your trauma issues aside, and do something that is pleasant and enjoyable to everyone. I wish you oodles and gobs of friends, and the very best in your healing journey. “Take time to enjoy everyday “normal” experiences with your support people. Put your trauma issues aside, and do something that is pleasant and enjoyable to everyone”. I think joy is so importent when it come to healing. I need to do fun things and buffer that feeling inside so I can “hold on” that when dark, bad days comes in my way. But knowing this and doing this is two totally different things. Doing fun things, feeling happy, enjoying things make me feel guilty, like I am not allowed to have fun or feel good. I believe some how that because of I beeing abuse and felt bad all my life I have to continue to feel like that, like I did before. Parents was always upset if I was playing or laughed and they punished me for that. So today when I try to do something for my self that I really like to do or enjoy very much, I feel afraid I will be hurt. Like I am doing something wrong. It is a real problem for me, because I truly think a survivor need to do this normal real life joyful things. And my brain knows that fun is OK, but still…not possible to do fun things so often because I am not feeling worthy…/D. I am very, very lucky because I have a kind and loving spouse who is very supportive of me even when I am not doing well. I’m not so lucky in other ways because my original family is lost to me (and I don’t want them anyway because they are horrible) and I don’t have any friends because it takes everything I have just to able to take care of business. I can’t be a good friend to anyone because it is too hard for me to go places with anyone or visit them and things like that. I can’t commit to anything that isn’t necessary to basic survival and the function of business, family, and household because I have no idea how I will be from one day to the next. Or sometimes even from one hour to the next. I managed to make a couple of friends at one point, but I quit after I was a no-show at my best friend’s wedding due to a breakdown. I tried to explain after I recovered, but I knew she was still hurt. There are some things that people are just not going to be able to understand. I did that. I can’t predict when things will fall apart, so I just stay away from people. I can’t afford to act ‘nutty’ (and yes – it IS nutty) unless it’s in complete privacy because I have children. I don’t think people should try to get support from their children, but children sense things and they should be offered some kind of explanation so they won’t worry. I just tell them that I have a little problem with anxiety and that it is not hereditary, contagious, or a fatal disease or anything like that. I am very good at keeping my nutty stuff reeled in. Too good, maybe. Even though my husband is very attentive, sometimes he doesn’t know what is going on until something is pounding down the doors in my head. That’s because I’m not my mother and I refuse to hijack my children’s childhood with drama and I would do ANYTHING to prevent them from being frightened. I’m lucky I have good control, but I’m basically alone. Oh, I almost forgot — I can’t hide my bizarre sleep schedule from my children, so… “it’s just a ‘sleep disorder’, kids. It is not treatable, but it can’t hurt me and it’s not hereditary or contagious.” This is one of the many reasons I hate people who torment children. I can’t have a normal life and there are several people walking the planet who are extremely lucky that I’m not violent. And I’m not surprised that the TV show in question does not address the reality of severe childhood trauma being at the root of the problem. It won’t go there unless it does it in a single episode as a gesture and then sweeps the whole thing under the rug. That’s because entertainment is a reflection of the society it entertains and nobody wants to hear about THAT. They would rather get a chuckle from the weird antics of the traumatized survivor. That’s more fun. I hope US of Tara shows a child in her talk-doc’s office, BUT not in some withering state or with some affected speech. It would be more helpful, I think, if the child were just talking about some abuse but in a more calm save way, you know like on the other side of the emoting of the original abuse. Maybe talking about the abuse on the resolution side. I was so glad you put in here that laying our DID on our outside kids is inappropriate. I always offend when I press that point. We never told our sons about the DID or our abuse history. KIDS SHOULD HAVE A SHOT AT THEIR OWN LIFE BEING THE CENTER OUR ATTENTION. Did our kids know on some level, yes, mostly when they were small, when inside kids would come out to play. It was a healing process for some of our inside-kids, for others it was too scary. Our out side kids the had their own lives and we shifted into a “Mom-front” and for 2 decades kept that front. We had planed to tell our outside sons last year when the youngest turned 18. Then our oldest son (25) suicided and well it’s just shattered our hold on dissociation. We lost internal communication, we’re back covering for lost time. We look forgetful and spacey. We can’t add dumping our extremes on D, he’s just trying to grieve his brother and get thru school and accepted to college. Now does just not seem fair. Our partner is supportive in a very broad sense. She treats who’s ever out with respect, but she’s never gotten to know each of us personally. We all agreed years ago to answer to a ‘nick-name’ just to avoid confusion for the sons. Still we’re alone. Especially since our oldest died. We have good friends, they were there in the first weeks, but now they expect us to have moved on. None of them know about our DID, we only told one friend in this group of friends and she in no way is supportive. They are willing to invite us to get2gethers but talk on a serious level has never been an option. We’ve always been the rock, Terri (partner) have always been the ones who supported in the long term and right now neither of us have it to give out and we see we’re not included. Yes it’s giving us our space, but there’s a difference to space and a couple of universes away. Anyway, that’s to say we’ve always had the opposite, we’ve always been the giver. When our own stuff crashes no one knows. We’re very contained. It’s frustrating to live a lie. When others talk about their lives and the hard parts, we can’t. We’ve tried and it’s a good way to loose, friends are never up for the degree of reality we live. I think people just wana hang in their own little bubble world and see only what doesn’t burst that bubble. There are the few who are brave and will reach out and touch someone but it’s a rare thing. Thank you for your post. You are brave to speak so openly. I have been sitting here, trying to decide what could be more devastating than the suicide of a child, and there are just no words to compare that to anything. I utterly and completely understand why that would shatter your hold on dissociation, and anything else, for that matter. I am so sorry to hear that…. how utterly devastating and tragic…. And I do hear you loud and clear — everyday friends are very often not up to the “degree of reality” that you have had. I remember some of the background topics you have mentioned, and you are right. Many “regular” people just can’t – won’t – go there. The whole everything about those topics are just too hard for a lot of people to get, or to understand. 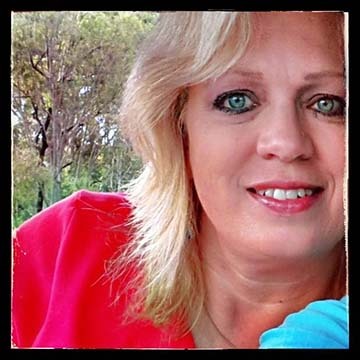 Since you are so much on your own right now, I am glad that you are coming by the blog, and visiting at SurvivorForum. You’ll find the most support on those DID / MC levels when you are with people who have been there themselves, and/or are already familiar with the topics. Getting through all that safely, and staying connected to those few closest to you sounds like success to me…. I am very lucky. I have an amazingly supportive husband who understands DID better than any non-T I have ever met and even better than some T’s. He has many friends who are multiple and was a bit of an expert on it before I ever entered the picture. I also have some friends who now or in the past have understood. I also have had people leave when they found out, or who treated us like a circus side show act, who tried to “cure” us with religion or tough love, and just about every other bad reaction you can think of. And I have come to a place in my life where I refuse to let the bad prevent me from getting more of the good. I am open and honest and if people don’t like it, too bad. I am not ashamed of who and what I am. I am responsible for my actions and I work very hard at being as good a friend as I can. I think it also helps that DID is not the only difficult diagnosis I have. I get similar reactions (good and bad) when I talk about my fibromyalgia or my sometimes crippling social anxiety. It has helped me to understand that the reactions aren’t personal. They are based on knowledge (or lack of it), attitudes and willingness to acknowledge things that you wish weren’t true. One thing I have found helpful to tell people who seem to be having trouble seeing me as a person once they know is by comparing it to things people wouldn’t hold against a person. If I had a brain tumor and had a bad day and cussed you out because those were the only words my brain could find, would you leave forever? No, you would expect an apology but you’d understand. If I had cancer and it made me too sleepy to make it to lunch with you, would you hate me forever? No, again you’d expect an apology (and a call to tell you I wasn’t coming) but you’d understand. There are lots of examples like that. And I use them to say that, hey, if I mess up, I will apologize and do my best to fix it, and I would really appreciate if you could try to remember that it was my “illness” and not some need to be cruel to you, that caused it. I guess I don’t want to be absolved of all responsibility, but I also don’t want to be held to an impossible standard just because my “illness” makes people uncomfortable. Also wanted to say that, as far as telling kids about it, I think the truth is important. Not the gory details, but the truth. You have to be age appropriate nad you have to be sensitive to how it is making the child feel, but I believe you also have to tell as much of the truth as they can handle and need to know in order to be ok with the situation. Kids know when something is up and I believe lying to them only makes the problem worse. Besides, while I want to protect my children from the difficult parts of my life, There are 2 important things my honesty can give them. One is a sense of understanding. 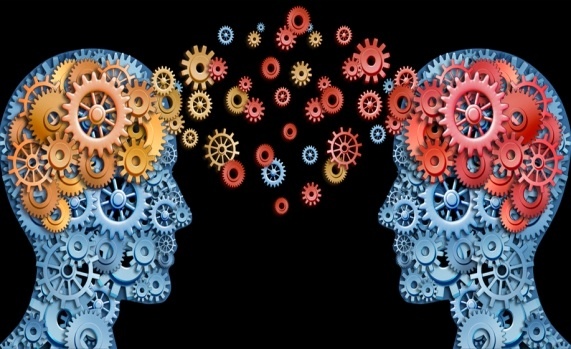 Helping them to understand can make them more sensitive to problems other people in their lives will have, makes them aware that bad things happen which, again when kept to an appropriate level, can help them stay safe, and lets them know it is ok to talk about hard stuff they are going through. The other thing it gives them is the opportunity to enjoy the good times. If you have sons, maybe it would be fun for guy parts to take them fishing. Creative insiders might have fun doing art projects with your kids. There are all sorts of possibilities. Oh, I think the worst in when you reach out hoping to find support, and there is none there. I know have had many times where i try what I know to do, and no one is available, or not responding. Nine times out of ten, when i do get a response i have usually recovered (pushed everything down to the point of numb) that I am ok. There are also times when I just don’t feel like i fit in. It is hard now to be in a group that is talking about their past and good experiences with family and friends and i have NOTHING to contribute to the conversation, so i end up sitting there like a bump. Thanks for this post. It is, as always, thought provoking. Thanks so much for your words and compassion. We just made it past the first of our son’s birthdays without him since he died/not good/really bad. Made worse since we have to attend a funeral today for a friend who’s mother died. We’re trying to just do. We don’t want to loose what friendships we do have, no matter how much they don’t ‘get-it.’ Isolation is even worse. This article addresses some helpful ideas for getting helpful support. Thanks for sending out the re-blogs everyone! Much appreciated!! I actually keep my DID to myself, and one other person who has known me since I was 5. It’s easiest for me to spend most of my time alone with my cats, and helping at the cat shelter. One day I hope to make progress, but for now I find if I stay sober and keep the main person in control, my life runs smoothly. I allow the child to play when I am alone and took her to the beach recently. Thank you everyone who posts. I am now starting to realize what my severe sleep disorder is related to and why I sleep dressed with shoes on. This all is helping me so much. Thank you again. I don’t have much experience with support people: My closest family whom I live with knows I have DID but doesn’t like to hear about the specifics; I tried disclosing to my surviving parent but had to backtrack when he panicked and told his entire social network I was having a psychotic break; my church community mostly thinks we’re a bunch of demons backstabbing each other by asking for help in spiritual warfare issues; the protective alters keep rejecting any of our friends they consider emotionally unsafe; and other people don’t know about this. So it’s pretty much just me and the other alters. It doesn’t help that we were never social butterflies at the best of times. I’m kind of saddened to hear that some people can’t tell their own children. I was very hurt when I found out that my mother, my lifelong best friend, took the secrets of her abuse and trauma to the grave. It was such a shock hearing about it from others, and by then I could no longer ask for her side of the story. She probably didn’t know she had dissociative symptoms of her own, and I KNOW she never realized the same thing was wrong with me, but it’s still a breach of trust that she would cover up what she did know. It always meant a lot that she refused to lie to me outright, even about culturally accepted things like Santa Claus, but this almost retroactively nullifies all that. I should probably chalk it up to the nature of dissociation itself. I remember there were times when my sheltered parts would try to write cute inspirational novels, only for the cult parts to “trash” the entire draft with cries for help, and my mother would be absolutely horrified that I was associated with something so dark. If we had made a serious attempt to find out, “Hey, where is this all coming from?” maybe we would both be doing well today. Even though it’s pointless to dwell on the past, I just keep thinking how much we could have helped each other if we had opened up a little bit and compared notes. I also worry about my sister. Many of my parts believe that she and I were abused together, but she is certain she does not have DID and that neither of us has an abuse history. If she’s wrong and my parts are right, I would never forgive myself if she got hurt by programming that my own system had already found out how to defuse. But I can’t make her want to know about this stuff, even if it turns out to be true. Being “alone” I can handle, as long as I have God and my colossal mitotic soul-hive for company…but being helpless is maddening. I’m sorry to rant. Thank you for the article. I think it would be so freeing to be able to be ourselves around our family. Or our husband. I wish my family could know about it, like Tara’s family does in United States of Tara. They dont always like it but at least they know. It would be great to not have to keep my whole life and my whole self a secret from the whole world. I have often found in life that I am the one supporting people – a sick mum, as a single parent of a child, as a teacher, as an advocate for foster children. IN recent years have tried to explain to family and friends what it’e like to be multiple but they don’t get it. My son, an adult said, what like in United State of Tara – you’re nothing like her. Others seem confused or change the subject. Even my therapist, who supposedly specialised in complex trauma said I was the first client he had with the condition and didn’t really learn much during our years about DID though he said he’s learned a lot from me – lol. Thus when there is a crisis tend to turn within and do my own thing. Maybe as I have learned the world isn’t a very safe place, it’s easiest. we were told by our “best friend that Mae is a demon. that wasnt helpful. lost other friends because they didnt like us anymore. or just disappeared out of nowhere. Like things were just fine, and theyre gone. outside people to give support or be there if we need them or to help. we try to just do it for ourselves. but outside people sure do like it when we support them and help them out. it jist cant be reciprocated. Just wanted to let you know that I read your posting (and those of Bully, rachel and Missy) and I am sorry that you are all struggling with anniversaries and old memories. It is really hard to sort through these feelings sometimes especially if you do not feel that you had a proper good bye. I hope that your new T can help you sort through these feelings/issues. Please know that you have friends here that you can trust and who will support you in any way that we can.